Reilly is Opel's new managing director. MUNICH -- The Opel supervisory board has chosen General Motors Europe President Nick Reilly to be the German automaker's new managing director, the company announced on Friday. The move is part of a leadership shake-up at General Motors Co.'s European arm ahead of a massive restructuring of the struggling unit that will see it cut more than 8,000 jobs in Europe. Reilly replaces Hans Demant, who takes on the newly created role of vice president of global intellectual property rights at General Motors Co.
Friday, Demant also stepped down as GM Europe vice president of engineering. His responsibilities go to Rita Forst. The 54-year-old powertrain expert's title is now Opel board member in charge of engineering. 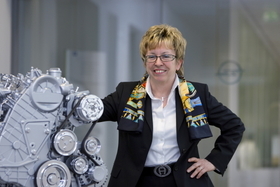 Forst was named one of Automotive News Europe's 25 Leading Women in the European Auto Industry in 2008. Previously, she was GM Europe's executive director of product engineering. Forst, who has held technical and engineering jobs at GM Europe since 1997, is one of two new members of the Opel management board. 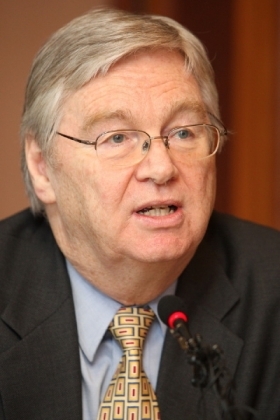 The other new member is Mark James, one of Reilly's close allies, who takes over as finance chief. James currently is CFO at GM Daewoo, the automaker's South Korean unit, where Reilly was chairman until the Welshman took over as GM Europe boss -- initially on an interim basis -- in November following the resignation of Carl-Peter Forster. James replaces Enrico Digirolamo, who will stay on to assist Reilly in the restructuring of Opel, which needs 2.7 billion euros ($3.93 billion) in state funding before it can turn a profit. Digirolamo also will play a role in the future of Saab, which GM has decided to start wind down even as it mulls offers from automakers and investment groups interested in the Swedish brand. Rounding out Opel's management team are manufacturing boss Reinald Hoben, human resources and labor relations chief Holger Kimmes, purchasing head Tom McMillen and Alain Visser, who will lead sales, marketing and aftersales. In the past, all four have served on the Opel board but as of today each executive's responsibilities have been expanded to include all of Europe, the company said. "Together with this highly capable and experienced team as well as our various country leaders, we will very quickly take the next steps in moving Opel and Vauxhall forward," Reilly said in a statement. Reilly will leave the Opel supervisory board and will be replaced by Stephen Girsky, a senior advisor to GM Chairman and interim CEO Ed Whitacre.